another picture from phooson. what a fun ladies night!! A group of the girls went to "Phooson" this past weekend. 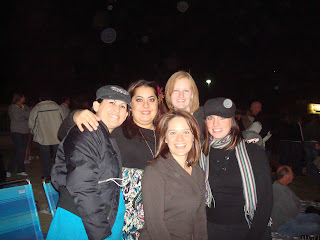 Here we are patiently waiting for Rhianna while freezing our buns off. 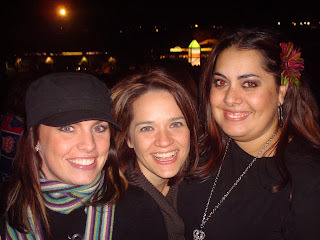 I love this picture of my sisters!! love you ladies. This is so much fun. My first picture of bella on our blog. This was taken during bath time this week. She was being silly and I wanted daddy (at work) to see her smiling cheeks! !